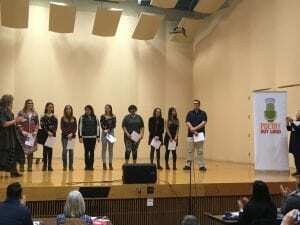 On Monday, February 04, Kaleb Nell, Emma Krall, and Benazir (the one name wonder) represented Red Lodge High School at the Regional Poetry Out Loud contest held at Ceisel Hall on the Montana State University-Billings campus. Emma placed 1st and Kaleb 3rd, and Benazir 4th. 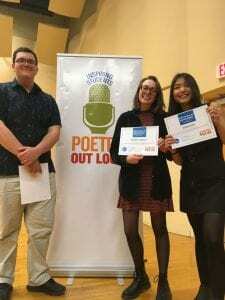 All three will represent RLHS at the State contest to be held in Helena on March 2nd.